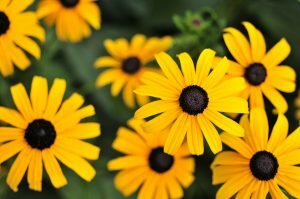 Native Plants for a Mid-Atlantic Landscape - Columbia Builders, Inc.
Black-eyed susans are native to the Mid-Atlantic area and a staple of landscapes across Maryland. When choosing plant life for your landscape…go native! With four distinct seasons and average rainfall here in the Mid-Atlantic, we are fortunate to have a good variety of native plants that work well in borders and gardens. Keep a few goals in mind – native plants should fit well into your landscape, contribute to the local ecology, and be as low-maintenance as possible. Here are a few native plants that will look great in your yard! The black-eyed susan is synonymous with the Baltimore region owing to its strong association with the Preakness Stakes. They work best in borders, and at one to three feet tall, mix very well with taller plants. While black-eyed susans aren’t the best choice for formal plantings, they are lovely as part of a natural or cottage-type garden. This beautiful native tree’s branches are lined with deep pink to purplish blooms in early spring. It prefers full sun, but will tolerate less than perfect soil conditions, including clay soils. With its stunning spring display, this tree is a standout – whether used to line a driveway or as a garden focal point. There are quite a few varieties available, so check with your local nursery to determine which species will work best in your garden. Featuring sharp pink colors in the spring, wild bleeding hearts are another terrific way to add color to your yard. They can handle drier soil after they have been established, bees and hummingbirds pollinate the flowers, and potentially destructive wildlife – such as deer – will usually leave these plants alone. Another deer-resistant plant, the ostrich fern is well-known for its strong aesthetic. It grows to about 3-5 feet in height and can create shade for other plants in your garden. The fronds also tend to clump together tightly where other ferns are much more loose-looking. Wild hydrangeas can serve a dual purpose in making your home look its best. Outdoors, their full foliage provides a lush look to your landscape throughout the spring and summer months. Indoors, you can cut off the flower heads, hang them upside down to dry for several weeks, and use them as part of an indoor arrangement. This entry was posted on Friday, April 13th, 2018 at 9:34 am. Both comments and pings are currently closed.